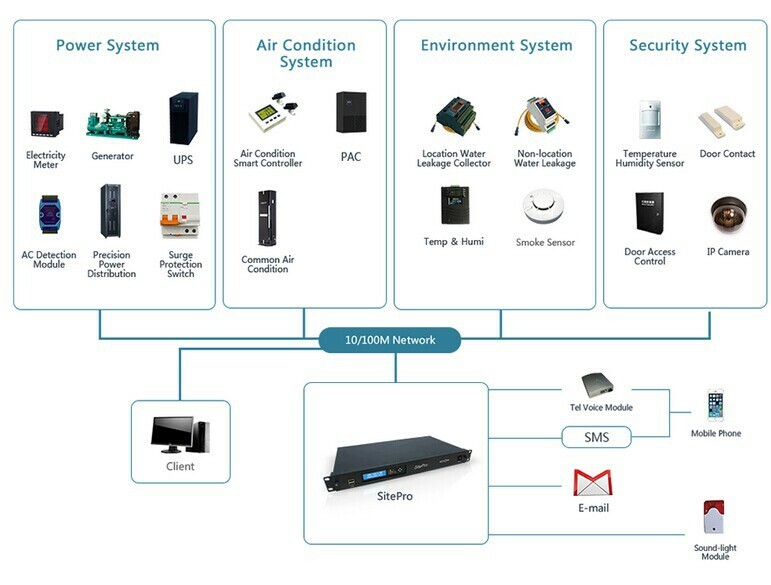 SitePro is an highly integrated monitoring solution for medium-small type data center(≤100²), it integrates 4 big infrastructure monitoring systems in one 19 inch host, including power system(UPS, power distribution, generator, earthing, etc), air condition system(precision air condition, general air condition), environment system(temperature, humidity, smoke, leakage, motion, etc), security system(door contact, access control, video, etc). 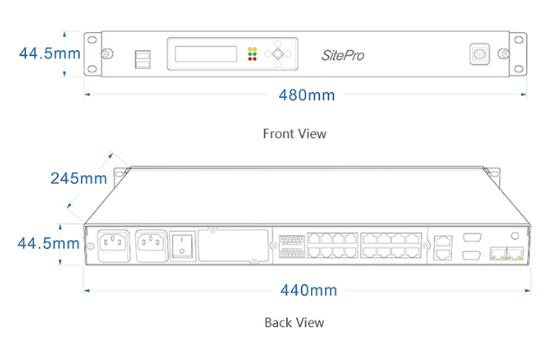 SitePro provides a totally high level detect of data center infrastructure devices, when abnormal alarm happens, it will rapidly inform administrators to take efficient measures, 7*24 hours make guarantee of non-attend data center! 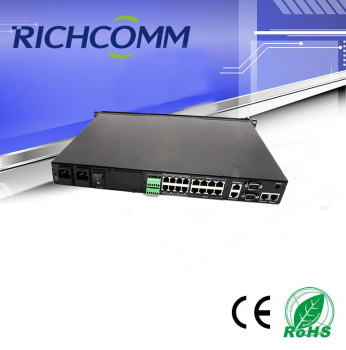 l Provide APP tablet monitoring. 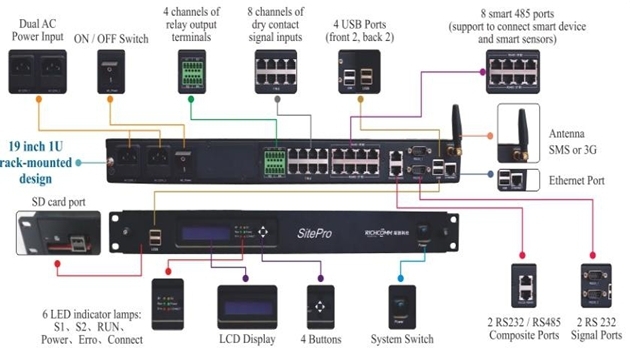 Support to monitor 8 eletricity switch signal at a same time, output 485 singal to sitepro host, it most works with electricity meter.